In this article, our topic is about compliance checklists. 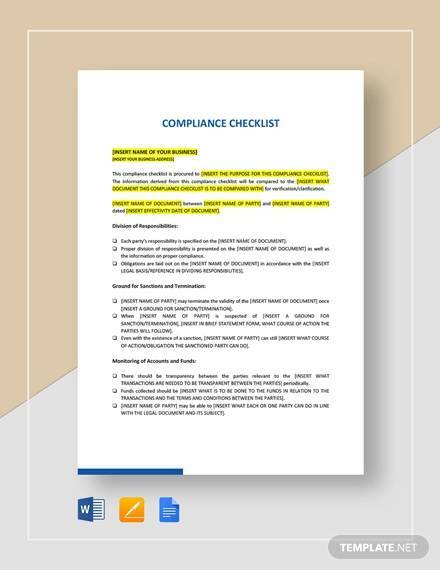 Ten different compliance checklist samples have been included in this article to help you further understand what a compliance checklist is and to serve as your visual aid at the same time. 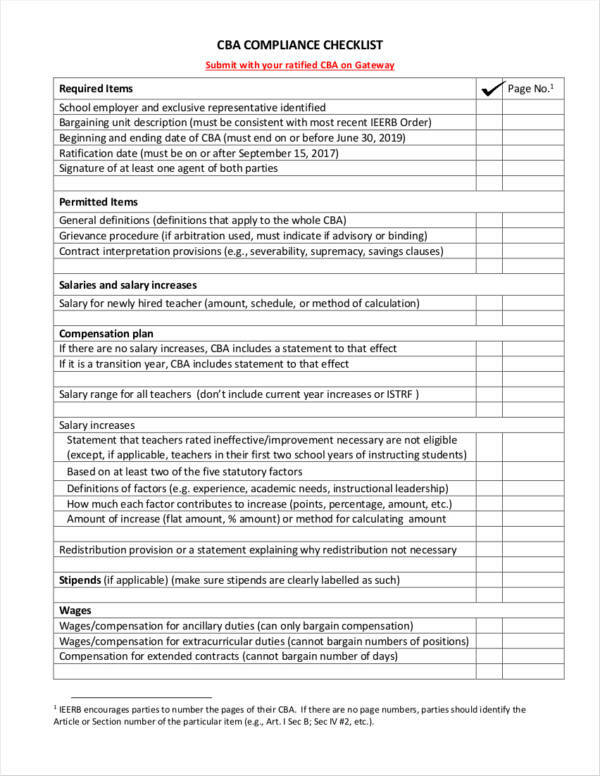 These checklist samples are also available in PDF, Word, and Excel to make it easier for you to download and edit them if you need to. 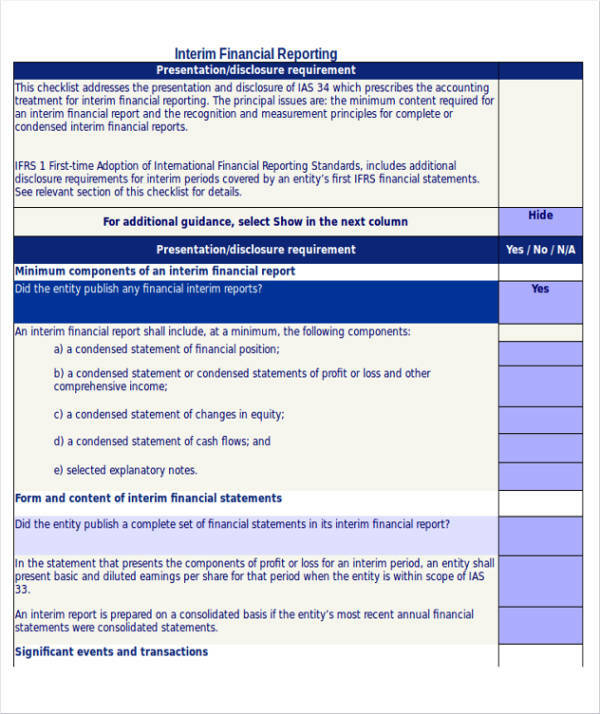 What Is a Compliance Checklist? There are certain standards or standard operating procedures followed in order for a product to be harmless and safe for everybody. These standards are set by a specific agency that regulates the production and release of these products in the market. The standards need to be complied with to make sure issues or certain problems do not arise from any of these products and services, and this is done with the help of a compliance checklist. 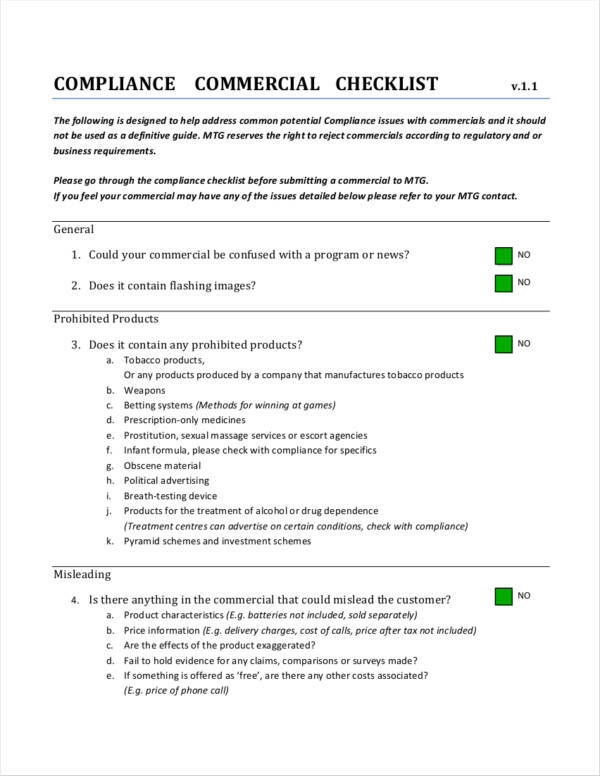 A compliance checklist is a checklist that includes not only tasks but a set of questions to measure the level of compliance of products and services in some parts of its production. Just like task checklists and how other checklists work, compliance checklists serve as reminders to make sure that the products and services being produced are compliant to the standards that are set for them. Why Is a Compliance Checklist Important? 3. A compliance checklist is important because it helps businesses in making assessments about which part of their business they are compliant and which part of it they are not. This is greatly helpful in correcting mistakes that if taken for granted or pushed aside may cause the business to pay for huge fines or penalties. The worst thing that could possibly happen is closure of the business. You might be interested in using an inspection checklist. 4. A compliance checklist is important because identifying areas of non-compliance calls for improvement. Areas of non-compliance can be taken as an area that needs improvement, thus various ways will be put up or planned as they are necessary to prevent and avoid compliance issues with the business or certain entity. A quality checklist will help guide you when it comes to improvement. 6. A compliance checklist also plays an important role in legal processes and regulations such as legal contracts and legal confidentiality agreements. To be considered a legal transaction, contracts and agreements need to comply to certain requirements that are required by the law. The items or set of questions in the checklist is arranged based on their priority so that you don’t have to think of what needs to be compiled first and what needs to be compiled last. 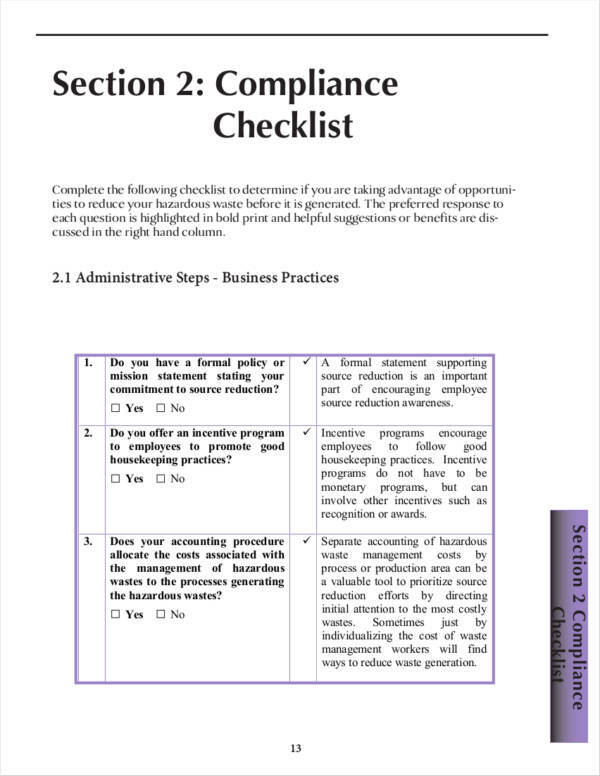 The compliance checklist helps in keeping you organized while you comply with the given standards. A compliance checklist makes it easy to train newbies or new employees on how to be compliant with work and other processes. Utilizing an employee checklist will make things easier for you. It is easy to acquire compliance checklist samples and templates that are legal or approved by law and those compliance checklists that have proven to be effective. The use of compliance checklists helps one identify activities or tasks that are not compliant with the standards. Businesses will take action to make changes and improve the way they do things and prevent the production of substandard and low-quality products and services. You may want to check out Checklists to Improve Customer Service. 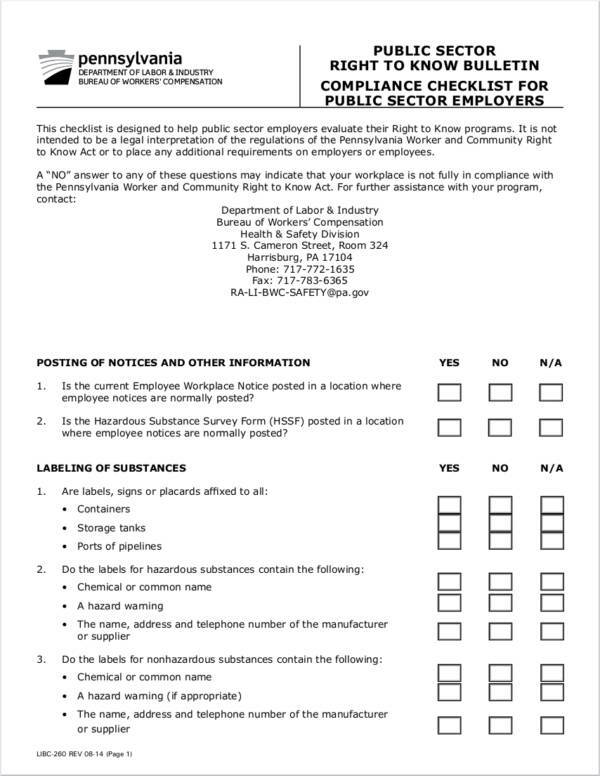 It may be hard for first-timers to understand the questions being asked in some compliance checklist forms because they may contain words that may appear as jargon. The creation of a new compliance checklist may be time-consuming as it requires a lot of research and analyzation. 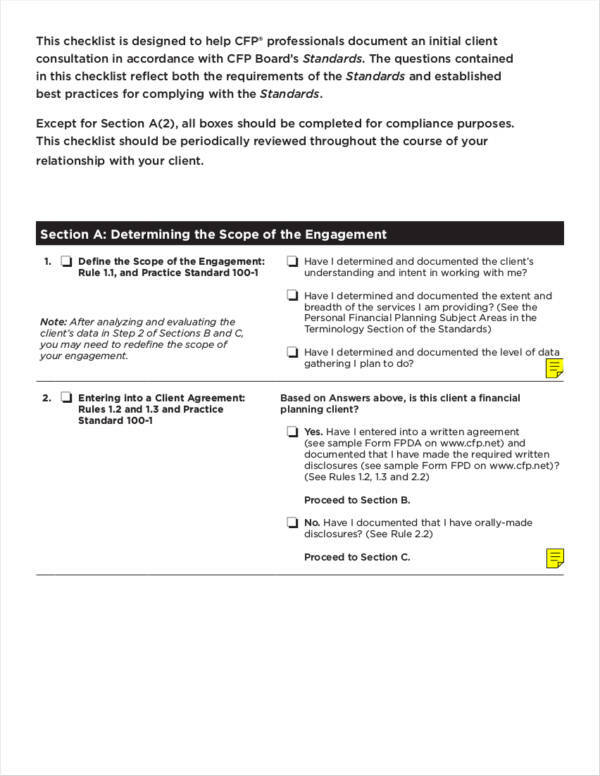 What Can You See in a Compliance Checklist? 1. 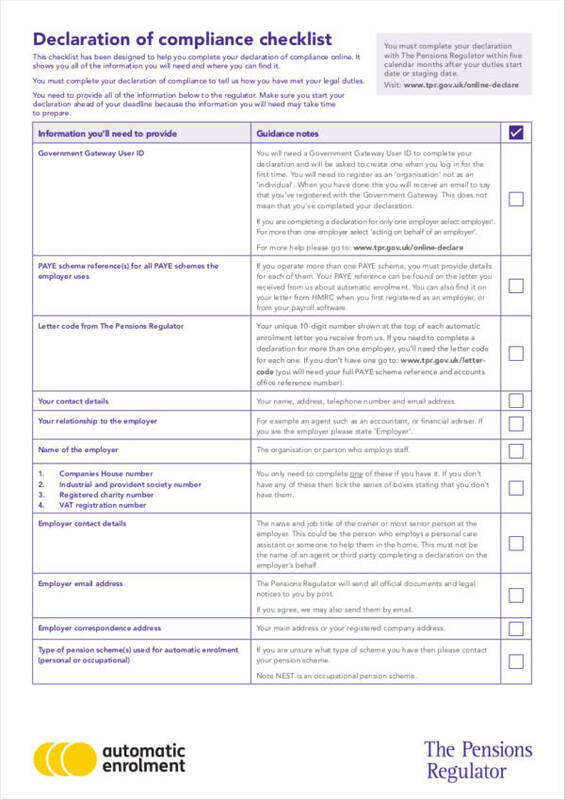 The title or heading of the checklist – This helps identify what the checklist is for. 2. The purpose of the checklist – This is to determine the purpose on why a compliance checklist is being used for a particular project or production. 3. The start date and due date when compliance should be done. 5. 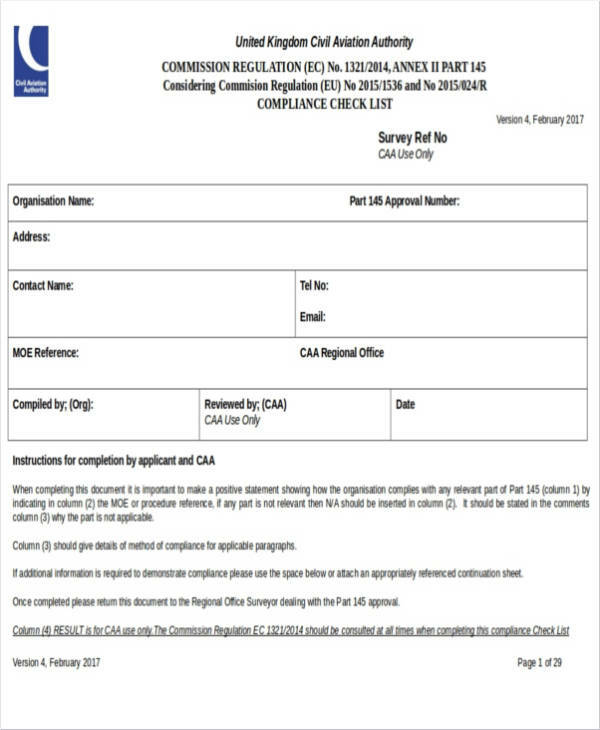 The date when compliance papers or forms need to be filled out and filed to the corresponding regulations agencies. Are they able to follow the appropriate waste management practices? Are the safety precaution steps followed in the construction site? Does the facility have or provide any written reports for all accidents? Is the facility able to provide holistic care to all of their elderly patients? 7. 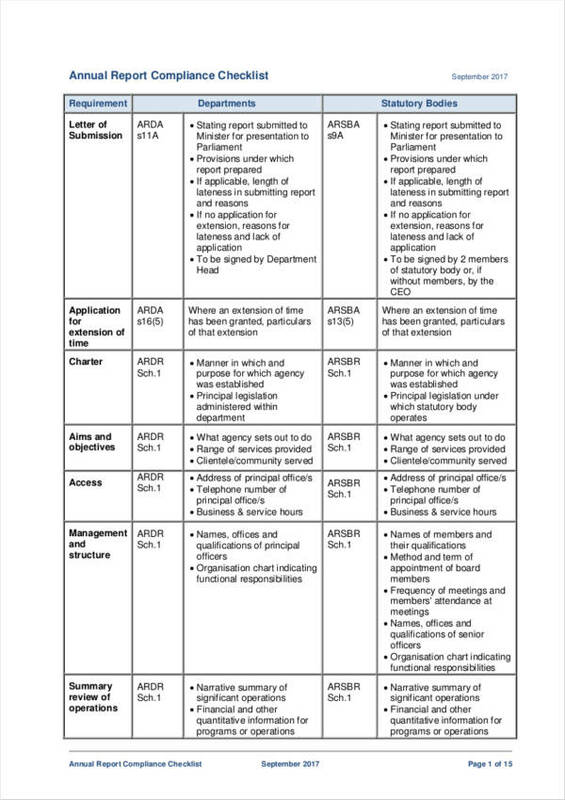 The list of corresponding responses or any further action that is required in the event that an item is found to be non-compliant. 8. Comments – These comments may suggest improvement or changes to the usual compliance practice being done. The comments are usually given by the entity who does the compliance audit or those people with authority. Other checklists you might be interested in are construction checklist samples and templates, HR checklist samples and templates, and restaurant checklist samples and templates.